Looking to sell your products or services online? We are often asked by companies looking to start selling online how much will this cost in terms of development and marketing? However it’s a tough question to answer with even more companies now having the facility to sell their products or services online via an e-commerce solution. Before deciding to proceed with an e-commerce online shop you need to ask yourself four questions. 1) Are your products or services unique? 2) Would you consider the prices you offer to be competitive compared with current online sellers? 3) Do you have the ability to deliver goods fast at competitive rates whilst ensuring you retain stock levels from suppliers? 4) Do you fully understand your potential customers with regards to knowing how to reach them through specific targeted marketing? 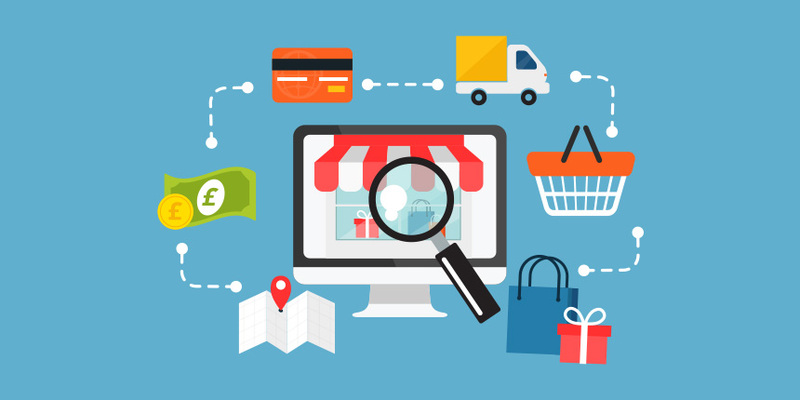 If you are unable to answer these questions confidently we generally advise our clients to sometimes try eBay or Amazon to test your business model in a highly competitive space that provides the benefits of maximum exposure and web visitors that have the sole intent of making a purchase. Using the highly sophisticated selling platforms of eBay or Amazon will also give you a greater understanding of your customer base by gaining insights with their specialist analyst and transaction management systems. The e-commerce market size is still increasing in size year on year but the overall growth rate is slowing down. However with over 80% of website browsers making a purchase online last year you can still capitalise on this online e-commerce growth. You just need to market your services or products effectively and perfect the customer journey to ensure a successful conversion. V Factor Creative services are a design agency based in Warrington, Cheshire and we can help with providing online e-commerce platform solutions including WooCommerce and Magento the best solutions for mid-sized businesses and global corporations.